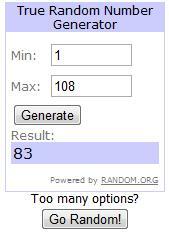 *The winner of the Silhouette Product Giveaway was #83, Kendra from Domestic Princess in Training. You can still cash in with Silhouette! You can get 25% off of all Silhouette Accessories by entering the code SERENITY. Offer ends on November 13th. Head over to shop Silhouette today! I'll be back later with an interview and Giveaway from Stitch Sense Designs. WHAT I WON, I WON (jumping up and down)!!!! One of my readers left me a message on my facebook fan page telling me the good news. I had no idea! Oh facebook yet another reason I love you! I never win these things so this is super exciting!!! Can’t wait to get my crafty hands on it! I feel like I should hug you but the miles and computer screen makes that kind of hard so I’m giving you a BIG air hug right now.